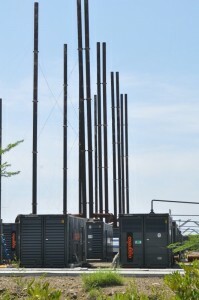 WILLEMSTAD - The utility company Aqualectra is going to open a generator park in the area of Mundu Nobo. Due to the extreme heat on the island, the demand for electricity is high. Aqualectra has trouble meeting that demand because there is no spare capacity. The new park has to deliver that. The diesel park will be operational early next year. How much the park is going to cost is not yet known. The previous park in 2011 cost 50 million guilders each year.